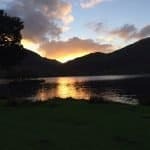 In a country seemingly full of places that look the same (sometimes I feel like once I’ve seen one English countryside village, I’ve seen them all), the Lake District stands out as one of our favorite places to getaway. 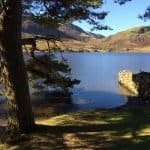 It’s a four to five hour drive from London, making it an option to do a weekend trip if you’re really dedicated (leaving on Friday afternoon and coming back Sunday night). 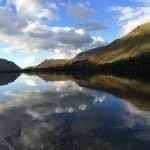 Many people use the lakes as a place to relax, while others use it as a place to get some much needed fresh air and exercise on long hikes in the area. I’m more of a relaxer and less of a hiker, while Guy is the opposite, so luckily there is plenty of opportunity for both! 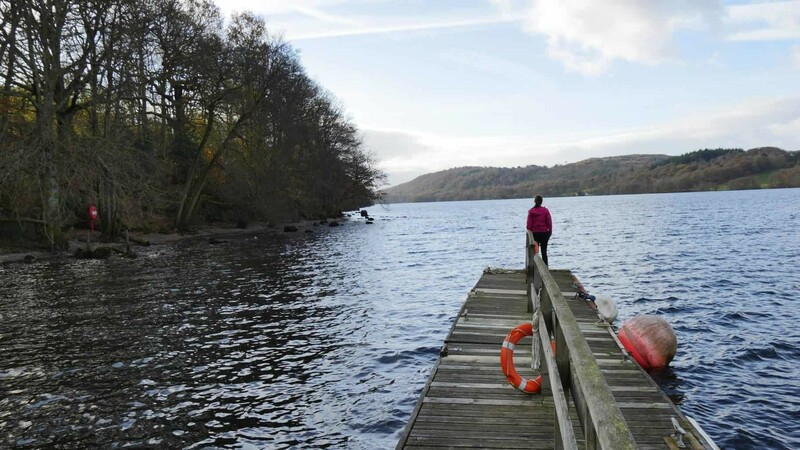 One of the first major lakes you come across when entering the Lake District from the south is Lake Windermere. I’ve always been intrigued by this lake, as we’ve come across it in the summer when sail boats dot the lake with splashes of color. 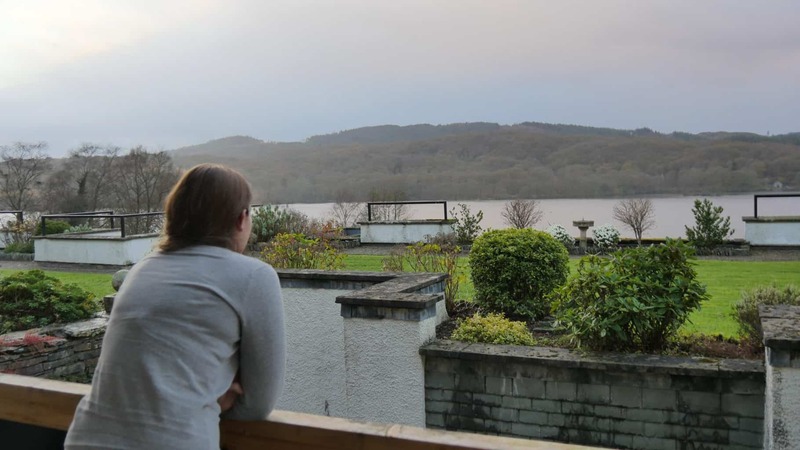 Often, we stay near Keswick, in the north of the Lakes, but this time, we decided to finally explore Windermere and see what we had been missing. 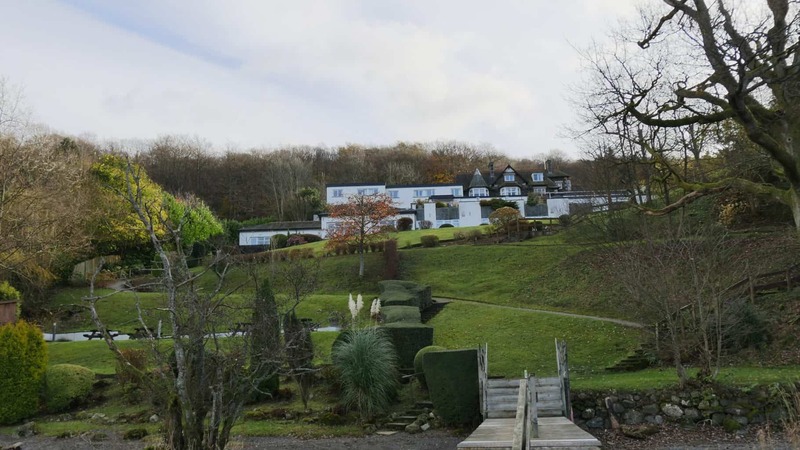 While we often do glamping in the Lake District, much of Lake Windermere is surrounded by private property and the best way to experience it is to book into a hotel with its own waterfront. 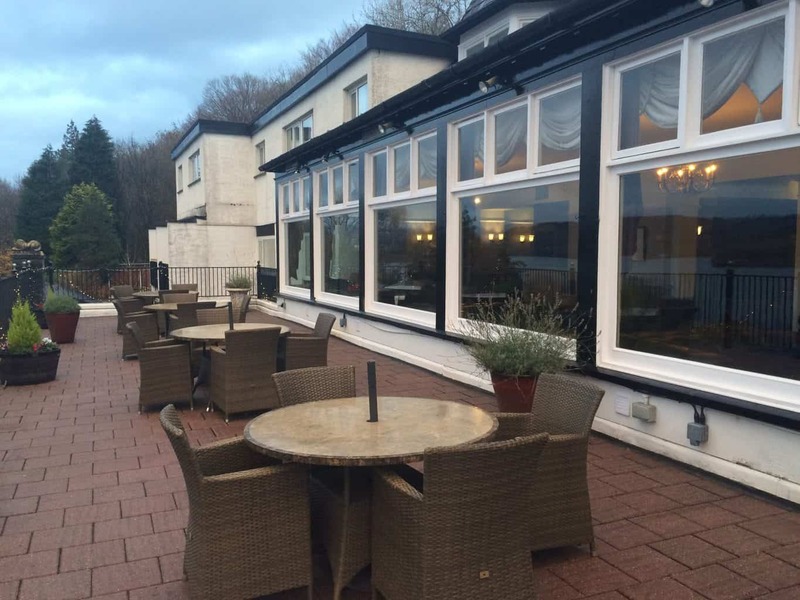 And what better hotel for that purpose than the Beech Hill Hotel and Spa with its stunning lakefront views and outdoor jacuzzi? 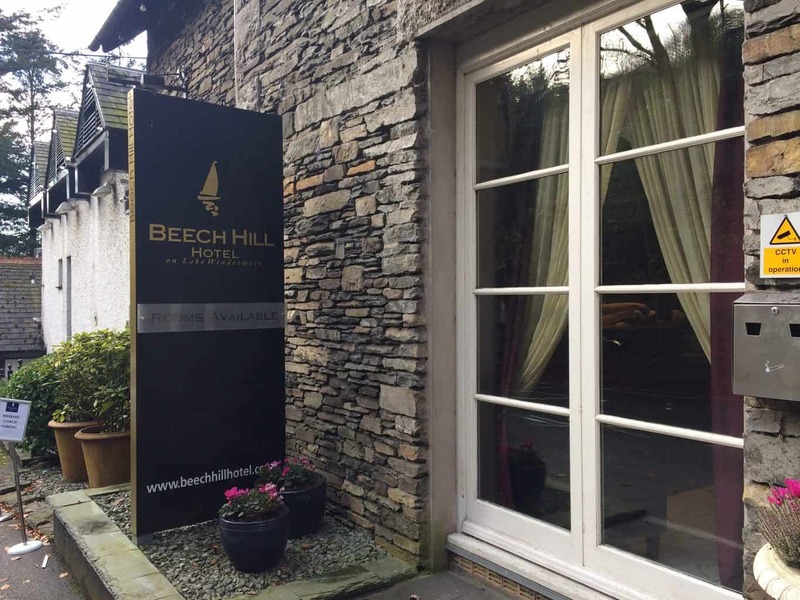 When we first arrived to the Beech Hill Hotel and Spa, we were instantly charmed by its quaint exterior. The parking is to the back of the property, so we quickly found ourselves a space and went to the main lobby to check-in. There, we were greeted by a very friendly member of staff who let us know that we were staying in one of their newly refurbished rooms and would have a view out to the lake. 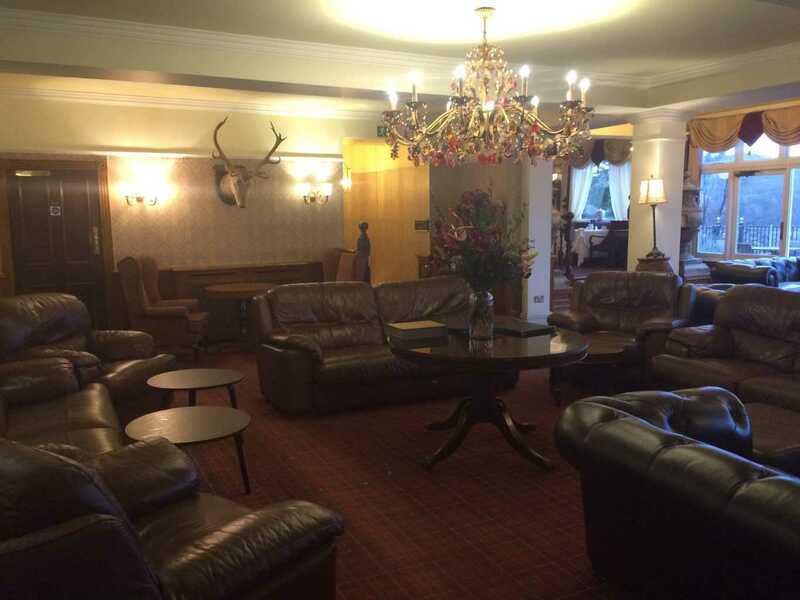 The lobby felt so cozy with a fireplace and really comfortable furniture that I half wanted to sink into one of them and take a nap. Guy did all of the driving, so really he should have been the one to take a nap, but keeping someone company during a long car ride can also be an effort! He’s lucky I didn’t pull out my “101 Trips to Ask Your Partner During a Road Trip.” I’ll let you decide if I’m joking or not (spoiler alert: I’m not). Anyway, there was no time for napping as there was a lot to explore! We went to check into our room, which was found by heading down one staircase and down a hallway. You might also enjoy Disneyland Paris at Christmas Review: Should You Make a Christmas Trip to DLP? 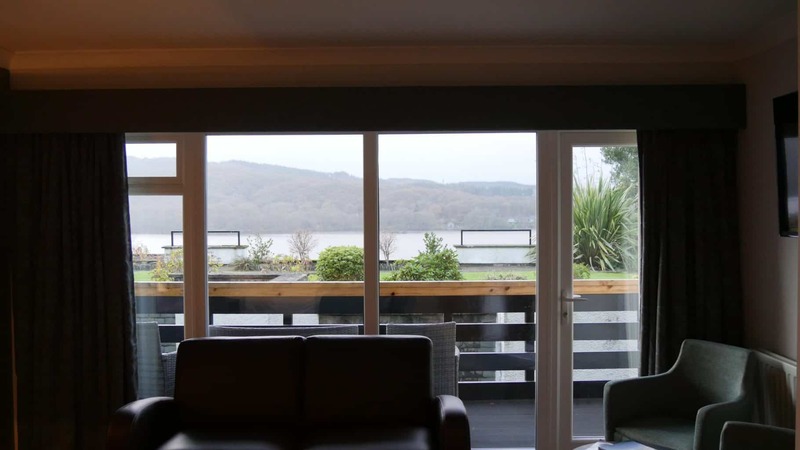 I opened the door to discover one of the classiest hotel rooms I’ve ever seen – the view of Lake Windermere completely made the experience. We even had our own balcony (that I made Guy take pictures of me on for like 40 minutes, even though I then decided I looked horrible in all of them). The room was plenty spacious for two people – Guy even found room to do his exercise video (don’t worry, I have a ‘no exercise on vacation’ rule so I did not take part). The furniture was comfortable, though the bed was much firmer than I usually like. Guy slept pretty well, and I got to sleep that night after adding a blanket underneath me for a bit of an extra cushion. After basically running around the room like crazy people because we were so excited, it was time to check out the spa facilities. There was an amazing pool that we skipped out on because I was cold and would rather sit in the jacuzzi, but plenty of people were making use of it and it was super clean (my number 1 fear with all spas). There was also a sauna and steam room, both of which Guy loves (fancy tastes). We sat in the sauna for a couple of minutes looking out into the spa until we saw a space open up in the jacuzzi. We ran out the door into the absolutely freezing air, and plunged ourselves in. It was already dark by then, so we couldn’t see the full lake, but it was one of the coolest (literally and figuratively) experiences ever. 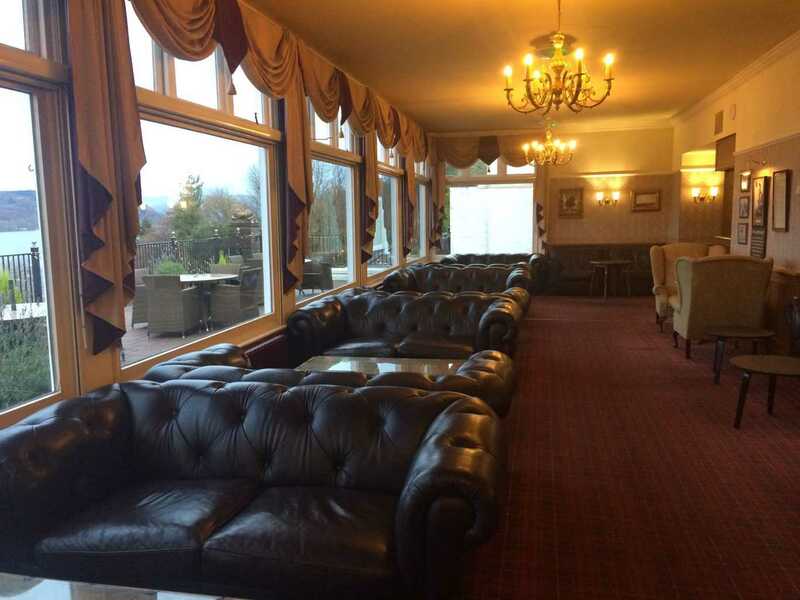 You can check out our view of the spa and the interior of the facilities here. By the time we had contemplated life and discussed how we should probably cancel our next night’s plans and stay here another night, it was time to go back to the room and get ready for dinner. I don’t have pictures of dinner as there was a sign saying they would prefer mobile phones (and I’m assuming giant cameras) not be used in the dining room, which I thought was actually a great policy. We talked over dinner instead of looking things up on our phones or generally being distracted, which is very rare for us. Guy enjoyed all of his choices: the steak and chips starter, beef and mashed potato main, and strawberry souffle. I had the egg on toast starter, bean cassoulet for a main, and the brownie dessert. The brownie dessert was incredible, and I enjoyed the egg on toast, though in general I felt there were too many vegetarian options with mushrooms. I don’t like mushrooms, but often eat vegetarian, so it was hard to find something suitable. By the time we had finished dinner, we were tired from a long day and went back to the room to fall asleep. It was then that we learned that the walls were slightly thin, as I could hear the voices of the people beside us or above us – not sure which. 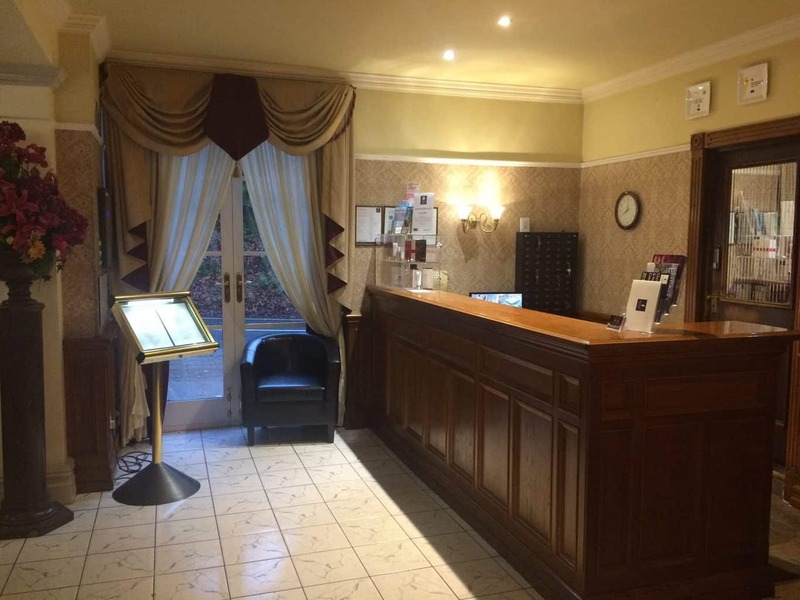 This is probably down to the nature of an older building, so can’t fault the hotel, but more soundproofing would make a welcome addition to certain rooms in the future. The next morning, we wanted to make full use of the spa before we checked out, so we showed up for breakfast right when it opened at 7:00 and were almost immediately seated. 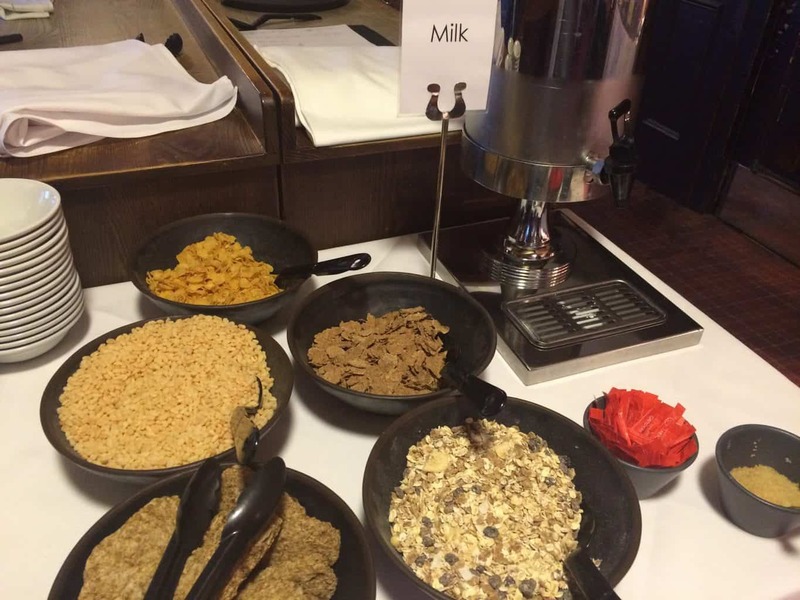 Now, breakfast is one of my favorite meals of the day, and I was not disappointed by all of the options at the buffet. It was AWESOME! 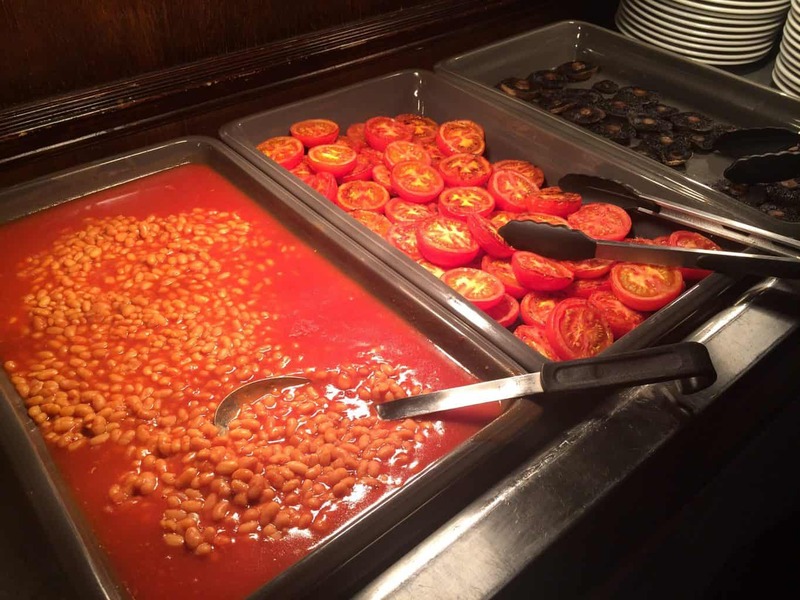 I had about two plates of beans on toast, eggs, croissants, cereal, and muffins. 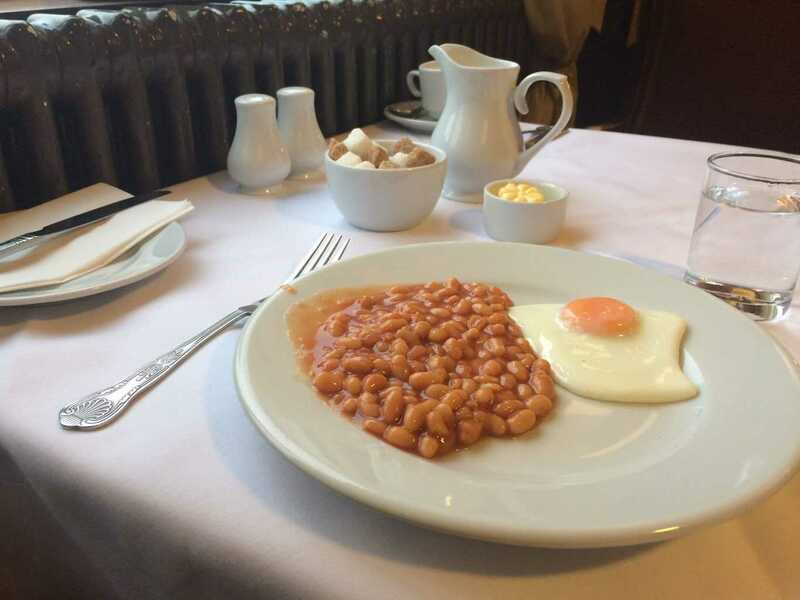 You can also have other things made for you, like a poached egg, which Guy ordered. The only thing that was missing were hashbrowns (my favorite), but the blueberry muffins made up for it. We then ran back to the room, put on our swim suits again, and raced to the jacuzzi. We were so happy to have it all to ourselves for about an hour, and once other people started joining us, it was time to pack up and leave anyway. After we checked out, we took a walk down to the waterfront and took advantage of the gorgeous views. 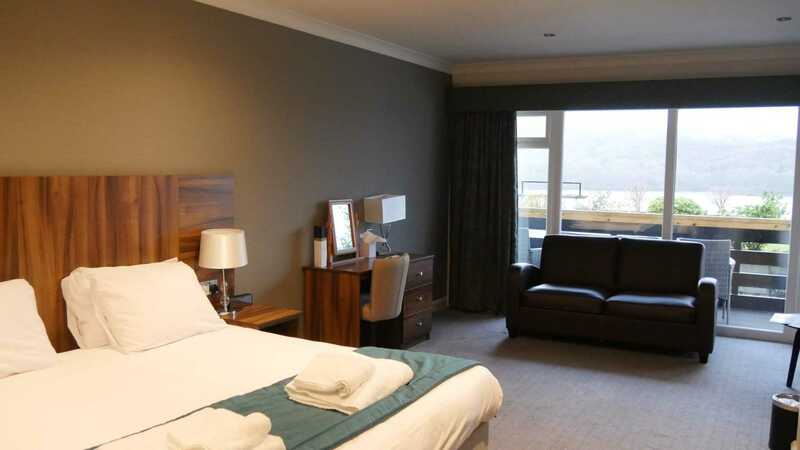 We definitely wouldn’t hesitate to stay here again and highly recommend it for even the view of the lake alone. If you’re interested in walking trails, you’ll need to drive up a bit further (maybe 15-20 minutes) to the northern side of the lake, but for a relaxing getaway, it was just what we needed! 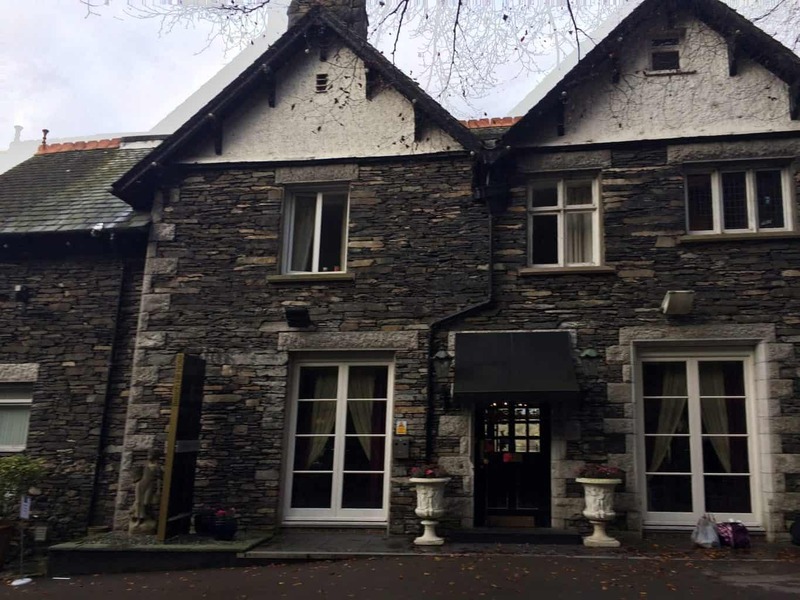 We were guests of the Beech Hill Hotel and Spa for the purposes of this review, but all opinions are my own.